FAN-tastic! 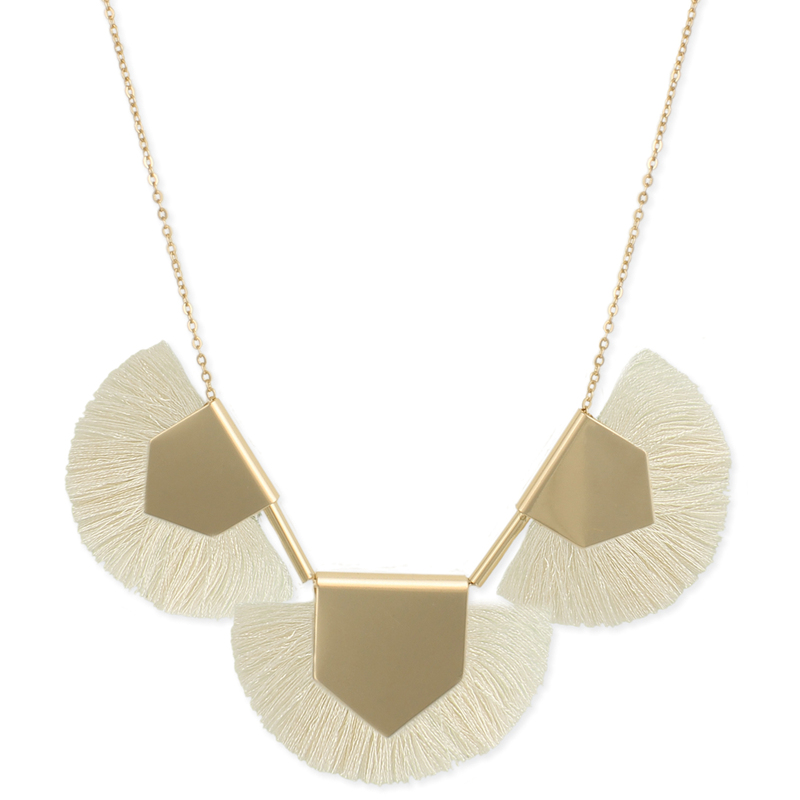 Delicate gold link chain has a bib of 3 matte gold metal chevrons with cream colored fan fringe. A light and delicate necklace that makes a sophisticated statement. 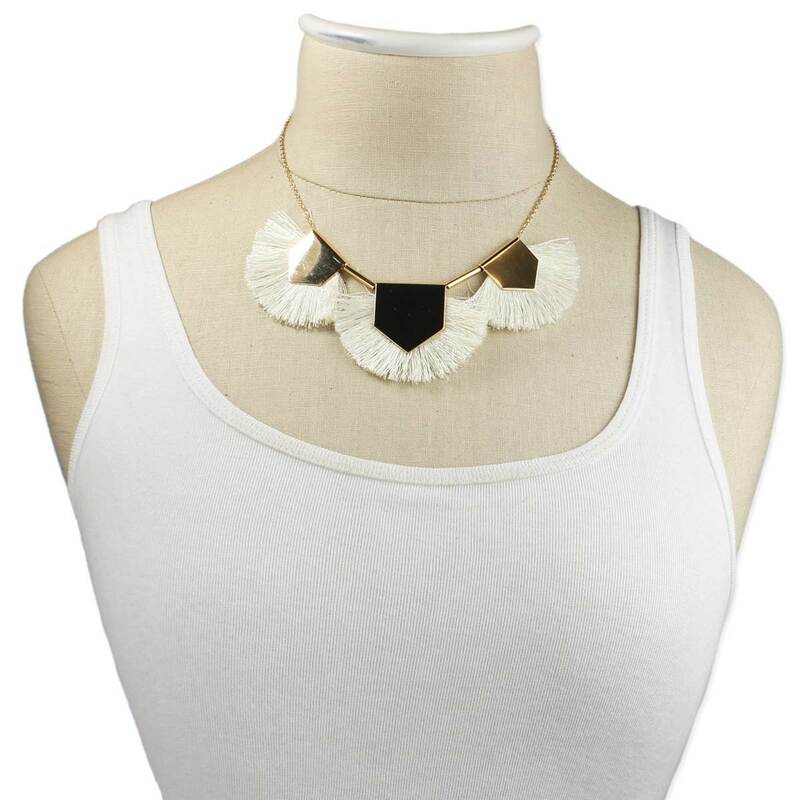 • Cream colored thread fan fringe - trending!